Share with all your friends! 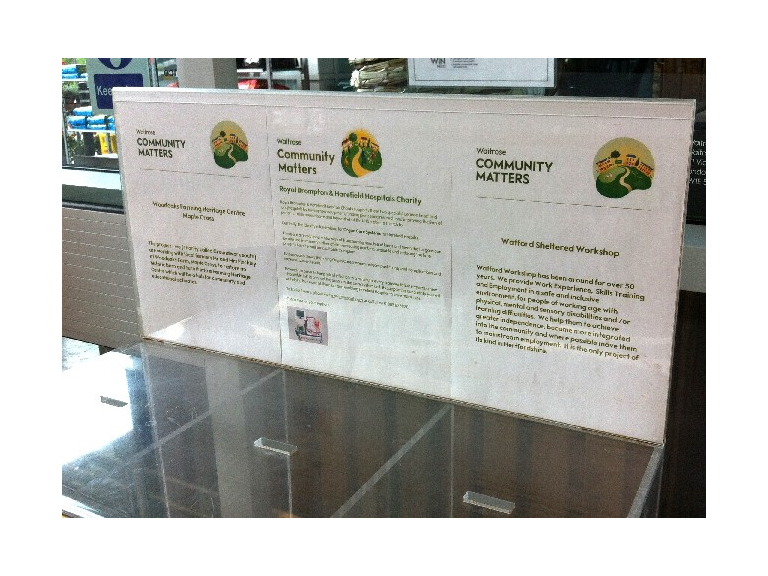 We are thrilled that Watford Workshop has been nominated in Waitrose Rickmansworth Community Matters programme for August. Make sure everyone knows about it and puts in a green token for us. Every little helps!